Rosalie’s Quilting, located 15 miles east of Wanblee on Highway 44 on Corn Creek, has expanded their operations from a home-based business into a newly constructed shop. The shop, built by Mendoza Construction and financed by Lakota Funds, will house all of the business’s equipment and will feature a new display area where customers can view products available for purchase. 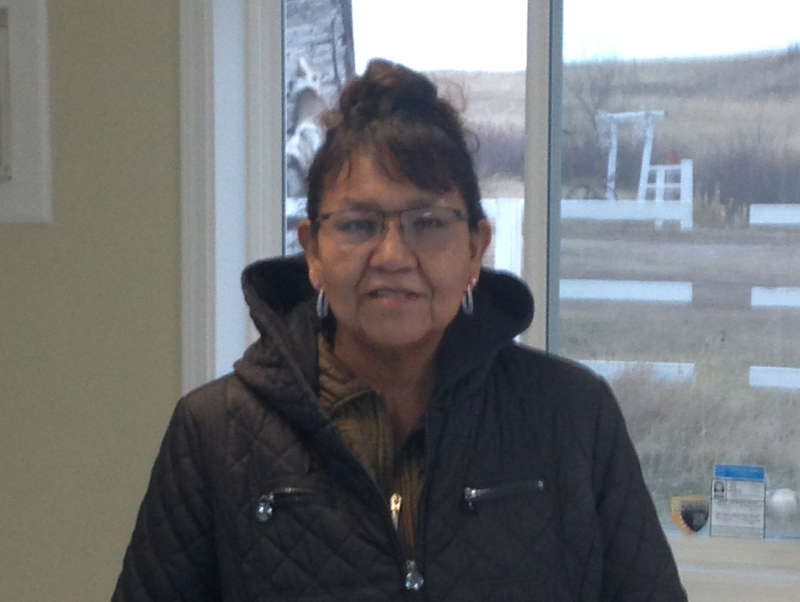 Since its inception in 2010, Rosalie’s Quilting had occupied the entire living room area of Rosalie Red Elk’s home. Rosalie says the best part of the expansion is that her home gets to be her home again. This will be the first time in five years that she will be able to fit – and enjoy – a Christmas tree in her living room. “Rosalie is truly committed to her business, and now her persistence is paying off. She’s come a long way,” says Tawney Brunsch, Executive Director of Lakota Funds, who helped Rosalie through the loan process for the new shop. Rosalie originally obtained a small loan from Lakota Funds to purchase a sewing machine and start her business five years ago. She went on to use other lending products to consolidate debt and access larger amounts of financing to purchase more equipment, and along the way built a stronger credit rating. 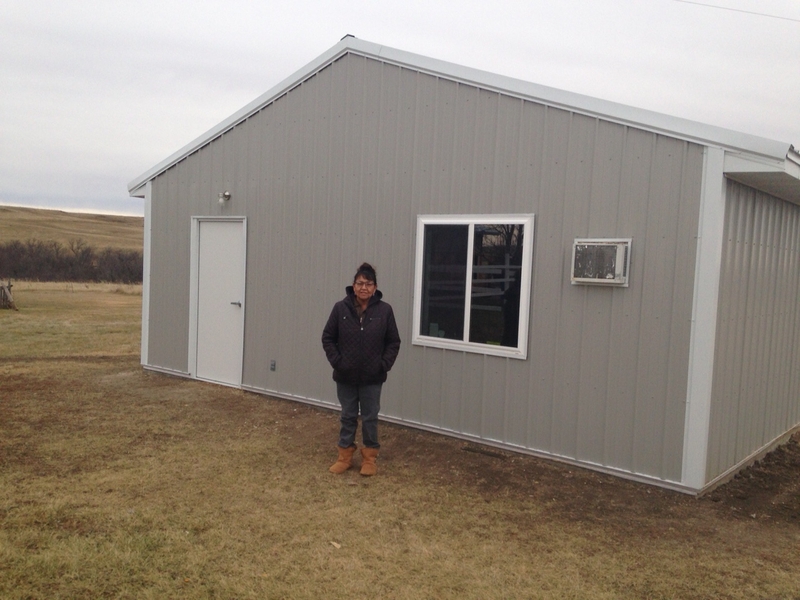 Although Rosalie has taken advantage of almost all of Lakota Funds’ programs over the years, it was her recent participation in the Building Native Art Program that supported this expansion. The program, delivered with funding from Assets for Independence, First People’s Fund, and First Nations Development Institute, offered artist-specific training and also a matched savings program, which provided $4,200 for the down payment of the shop construction. “When you look at Rosalie’s Quilting, you can really see how just one business impacts our entire community. This business is not only benefiting the owner, but it is generating income for other local businesses and individuals,” says Brunsch. She points out that Mendoza Construction, a local business and a client of Lakota Funds, did an excellent job on the build out of the shop. Now that they have the space, Rosalie’s Quilting is also looking into hiring an employee. This will support even more business growth and economic development on the Pine Ridge Reservation.